– Paul Stack, Operations Director, Marco Beverage Systems. Enterprise Ireland’s funding helped drive culture of innovation. Leading-edge technology transformed brand awareness and opened new markets. R&D for one product generated platform technologies that could be used in others. “It’s important as an SME to be able to afford to continually innovate,” says Paul Stack. “In our business, we generally get about a seven-to-ten-year product lifetime, so innovation is key to replacing and renewing products.” Stack is Operations Director at Marco Beverage Systems, a hot water delivery systems company, headquartered in Dublin. 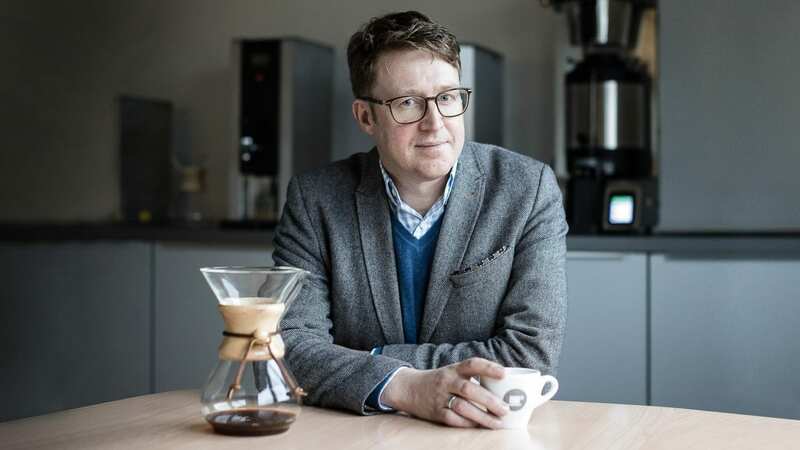 The company, which provides systems for coffee and tea brewing in the food and beverage industry, is a recipient of Enterprise Ireland’s RD&I funding. Its range of products includes water boilers and coffee brewers. Marco has manufacturing plants in Dublin and China, and distribution offices in America, Europe, the Middle East and China, giving the company global reach. 80 per cent of Marco’s products are exported: an increase from 68 per cent only three years ago. It has just under 100 employees globally, with approximately 60 based in Ireland, and its products can be seen in significant coffee, tea and catering locations, including familiar names like Starbucks, Bewley’s and Costa Coffee. The company’s success is fuelled by its emphasis on innovation. This focus, and a desire to expand it, led the company to apply for RD&I funding from Enterprise Ireland back in 2004. “The main considerations for our design team are energy efficiency, beverage excellence and design excellence, incorporating user experience and aesthetics,” says Stack. One example of a product that has benefitted from the Marco Beverage Systems R&D program is the Uber Boiler, launched in 2009. This one-cup coffee brewing station has replaced more traditional bulk coffee systems in many cafés and restaurants. It allows baristas to have more control over a recipe and brings them closer to the front of the shop to interact with customers. The Uber Boiler and similar systems are now a common sight in coffee shops, but when the company first developed this product it had a big effect on the industry. “The product completely changed how our brand was seen in the marketplace as it was so innovative. It opened doors for us, especially in new regions like America. People came to us because of the popularity of the technology,” says Stack. The company has also found that R&D for one product can generate platform technologies that can be used in others. A separate research project for a different product resulted in innovations that contributed to an automatic version of the Uber Boiler, the SP9, demonstrating the types of cross-pollination that an R&D program can produce.